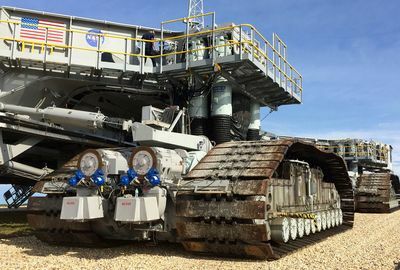 17-11-2017 – SteelFab Fair 07-11-2017 – SPE Offshore Europe 17-01-2017 – AISTech 2017 17-01-2017 – IFPE 11-11-2016 – NASA’s Crawler moves the Biggest Rockets and Hunger Cylinders Level the Load! SPE Offshore Europe from September 05 to 09, 2017. Hunger Did It Again! 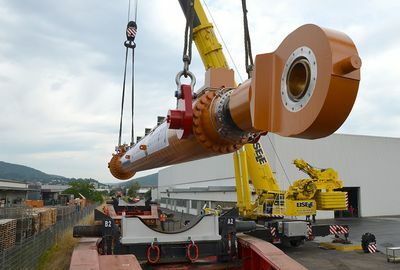 They just built the world’s largest hydraulic cylinder! This massive 200 metric ton Hunger cylinder is a key component of a dredging barge essential to the nation of Japan. This dredge will keep the harbors and shipping channels open for commerce and trade. On July 3, 2007 the foundation stone laying ceremony for the proposed production facility for standard sealing and bearing elements of W. Hunger Hydraulics India Pvt. Ltd. took place in Poly Park Sankrail, District Howrah, West Bengal (India). © 2019 Hunger Hydraulics C.C., Ltd.